The scene takes place at Elephant Nature Park in Chiang Mai, Thailand. At first glance, it looks like caretaker Lek is just fulfilling her elephant duties and swatting away. 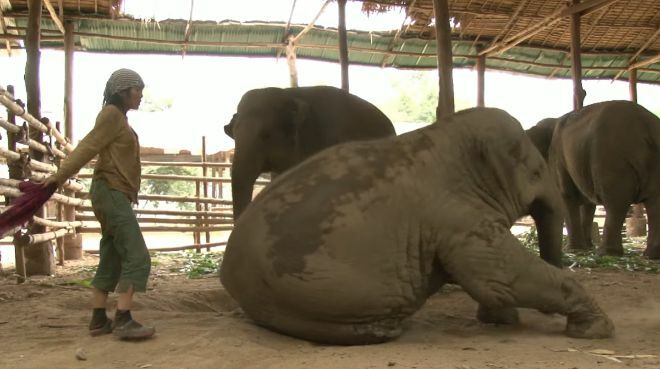 Very soon, you notice the elephant lying down, and that the relationship between elephant Faa Mai and caretaker Lek is not an ordinary one. Faa Mai gets drowsy as Lek starts singing her lullaby. 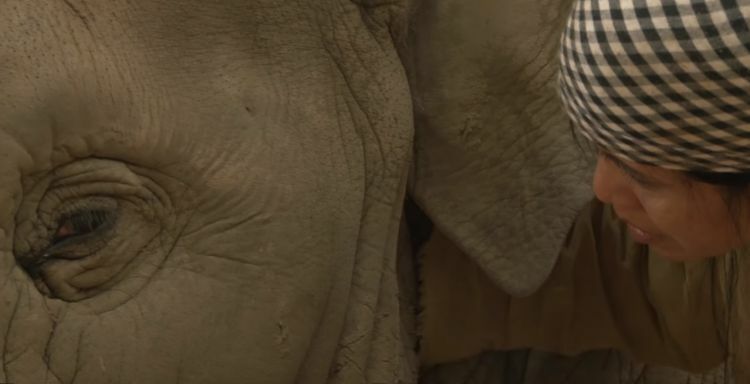 Can an elephant truly respond to lullaby? Some wonder if an elephant can truly respond to something like a lullaby. The American Psychological Association performed a study that seems to indicate that classical music is soothing to Asian elephants. When played for these animals, typical zoo-housed behavior appeared to decline. Could the elephants truly be responding to the music? According to The Guardian, the zoological director of London and Whipsnade zoos, David Field, said, "Their appreciation of noise communication is far beyond our hearing range. They communicate in deep infrasonic vibrations ... so it wouldn't surprise me at all if [classical music] has this calming effect." Scientific America states that elephants are much smarter than previously thought. Tool use, self-awareness and problem-solving abilities rank right up with the chimpanzee's. Soon, the huge animal lays down on the ground and appears to start snoring. 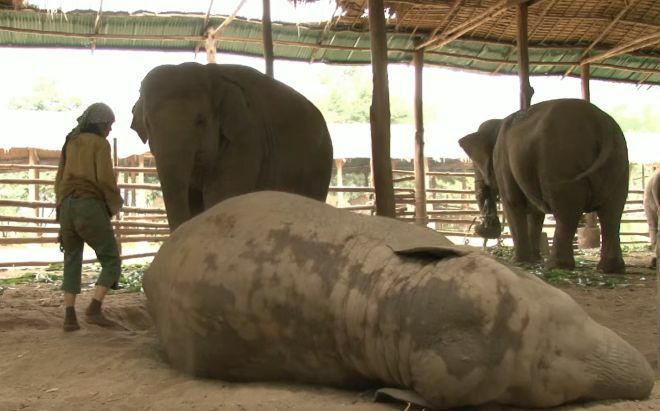 Viewers can see how much Lek cares for Faa Mai as Lek constantly shews the flies away from the elephant as she is falling to sleep. The proof as to whether Faa Mai appreciates Lek's lullaby is in the video below. The gentle snoring of this huge animal bears testimony to Faa Mai finding the lullaby soothing enough to take a nap.